Multi Day Fishing trips to France & The Channel Islands can be booked on a per person basis or the full boat can be reserved in advance for a group, both are dependant on availability and tides. 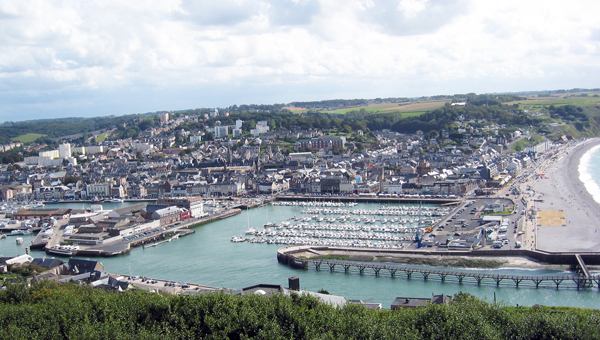 These multi day trips comprise of anything from a 2 day French trip, landing in either Fe'camp or Cherbourg for an over night stay or up to 5 days in the channel Islands, visiting Alderney or Guernsey. Both trips offer fantastic fishing opportunities designed to maximise time at some of the most productive marks available to the UK's South and East Coasts. The 2 day wrecking trip is exactly that, leaving Hayling Island at 07.00 on Day 1 and steaming out the 40 to 50 miles either southwest or southeast towards Fe'camp were most of the wrecks see very little pressure. Mostly undisturbed, the fishing grounds around Fe'Camp area are some of richest in the Channel with plenty of Cod, Ling and Pollock on offer. After a hard day's wrecking you would have earned a well deserved overnight rest in France where the best of the local culture and cuisine can be enjoyed. All the catch for the first day will be packed on ice, thus ensuring all your fish are in perfect condition at the end of the trip. Day 2. 07.00 hrs start leaving France after a light breakfast then off again for another action packed day on the wrecks. Again you can look forward to catching plenty more Cod, Ling and Pollock. It is a good idea to have a large cool box in the boot of your car so when we come home it can be loaded with fish and ice ready for your journey home. 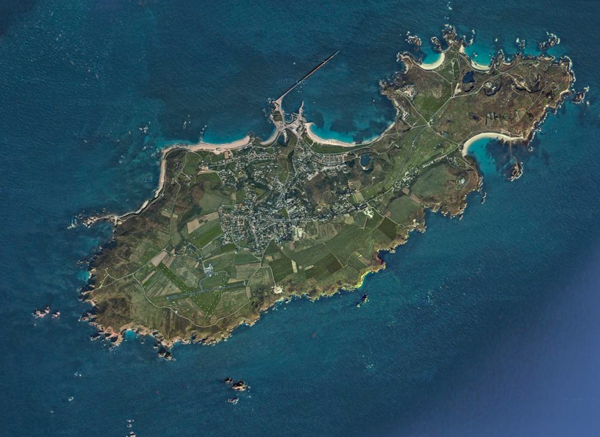 What better than 4 or 5 days fishing around the Channel Islands? We've been fishing these waters for many years and there is always new places to explore, the fishing can be fantastic for Turbot, Bass, Bream, Tope and many others. Alderney really has a vast array of Sport on offer, and it seems limitless places to enjoy a great meal and a relaxing drink in the evenings. As a small island, around the inshore coast of Alderney there is always a place to fish in comfort if the weather is against you. Years of fishing around the rocks and back eddies have produced some amazing fishing on light line for Tope, Bullhuss and Bream. Day 1 - Leaving Hayling Island at 07.00hrs loaded to the gunnels with ice, depending on the tide and time of year we would either steam straight across the channel on the tide, or may be do a couple of hours Bass fishing off the back of the Isle of Wight. We would then steam across on the tide for some more fishing around Alderney, and finally landing on Alderney around 19.00 hrs. Day 2 to 4 - Pickup at 08.30 allows the Anglers to get a good breakfast at their accommodation, of which there are plenty of options from a 5 Star Villa to B&B, with some great deals to be had given most of the fishing is done in the non holiday seasonal months. Expect to pay around £100-£130 for digs. Self catering can be good value but be warned you'll lose deposits and indeed you money if the trip is blown of at short notice, the B&B's offer a far better arrangement. Google Alderney B&B for the best deals. Fishing wise, depending on the tide and time of year, Turbot and Bass would be the main target species targeted with Day 1 setting the pace and tone for the remain days. Day 2 and 3 would usually see Bream and the fantastic Tope targeted for break from the Drifting. On Day 4 we like to make the best of what's been most enjoyable and as with Days 1-3 we'll remain open minded about the species we target based on response of both fish and angler..
Day 5 - Slightly earlier start at 08.00 heading for home via a number of Cod and Pollock packed Wrecks should see you top up with some extra white fish for the Cool Box. We'll aim at getting back to Hayling Island about 18.00 hrs for a wash up and divvy of fish. Your fish for the week will be in perfect condition, so it is recommended to have a very large cool box waiting in your car which can take both fix and ice. See our "Skippers Tips" for Bass and for Flatty fishing for a few more rigs and tips on how to get the most out of your trip. If you are lucky enough to have some sandeel (live preferably) or small strips of fish Belly for bait. The rig featured right will catch you plenty of fish on the drift in and around the Channel Islands where Turbot, Brill and indeed Bass. Look to fish about 4ft to the first hook and anything from 3 to 5 feet for the last hook. You can replace the two hook for a single size 2 treble if using small joey mackerel for bait, which will get you a Proper Bass or two. - You should be able to feather up plenty of snake launce which make for great Turbot, Brill and Bass Baits, actually they make great baits for most fish. Make sure you use a Dexter Wedge for a dropper to increase your chance of catching Launce quickly on Herring Sabiki. Valkyrie 7 launched in 2013 is a 11mtr BWSEA CAT powered by twin 200hp Nanni Diesels, cruising at 18 knts & has all the latest touch screen electronics.